CHICAGO (WLS) -- Cubs fever is rampant in Chicago, as the team looks ahead to Game 1 of the National League Division Series. 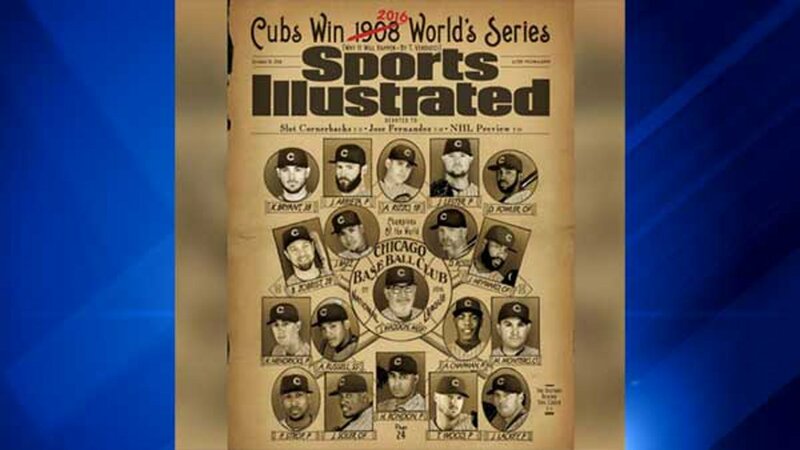 In its latest cover, Sports Illustrated boldly predicted the Cubs will win it all this year. The old-time magazine cover has the year 1908 crossed out and replaced with 2016. Several players' headshots are featured, with Cubs Manager Joe Maddon front and center. Sports Illustrated said making the prediction was the easy part. More difficult was figuring out how to depict the idea of a Cubs championship, something fewer than two dozen living Americans could possibly remember.